New CPU shuts PC down?? Hi, I just brought and installed a AMD FX 8350 Vishera Black Edition CPU for my Gigabyte GA-78-USB3 Rev6.0 to replace my AMD Phenom II 545 cpu, I've read specs etc so i know the new CPU should work with my MoBo but as soon as its loaded up Bios/DMI's etc gets to windows loading screen then shuts down, i returned to my old CPU and it works fine....What am i doing wrong?? Have you tried a clean installation of Windows? No i havent, I'll try that now. Finally finished the clean install of windows 10, changed the CPU to the new one, started up and same thing happened ?? Did you clear the CMOS when you changed the CPUs? Yes i did still same thing. aaronlee1983, you need to do the fresh W10 install with your final HW. You MUST install with the new CPU installed. If it will not boot you must resolve that problem first! Please go to your MB support page and make sure you have the BIOS that supports your new CPU. If not, please update your BIOS. Good luck and enjoy, John. I've been told my PSU maybe not powerful enough?! ?, I do have the new BIOS ready to be installed "BUT" all the warning signs saying if This/That is not done properly can cause fatal reboot errors and I'm not exactly PC proficient.... So these thing's that could go wrong most likely will . aaronlee1983, please post your system specifications. Updating a BIOS can be sweaty but I have done many and never had a problem. I think the largest exposer is a power failure in the middle. If your site power is stable, then follow instructions and you should be OK. If you have a technically savvy friend invite them to observe. Enjoy, John. Its a first time build on a small budget. Good god that's a 192w power supply (+12V is the only thing which matters these days), you're going to blow something if you attempt to use a 125w processor with it. Either this week or next I'm looking to get Corsair VS550 550 W Active PFC 80 PLUS, would 550W PSU be enough or not?? If your computer case has enough room I would suggest a much higher wattage PSU. 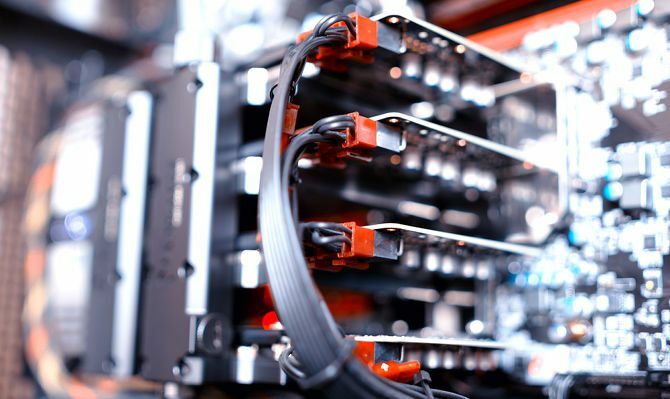 Something equal to or more than 750 watts so you will have enough power for the majority of modern high end GPU cards. Also try to get a PSU with a GOLD or Platinum or at least Bronze ratings. I purchased a Corsair 850 gold PSU several years ago and it still gives plenty of power for my new high end GPU card that I installed last year. Actually 550 wattage is fine as long as it is rated 80 plus efficiency. I mentioned 750 watts in case in the future you decide to add more powerful CPU/APU or GPU card or components that require more power. This article give a good explanation about the various components and how power they may consume: How Much Power Does Your PC Need? While your computer is likely comprised of many different components, there are five main components that draw most of the power. You probably don’t need to look further than these parts because the power draw of everything else is insignificant by comparison. The good news? Finding the wattage for your PC’s components can be as easy as searching Google for each component’s model name. In particular, you’ll want to look for “technical specifications,” which should include wattage details. CPU wattages can vary wildly. For example, take the low-end AMD Sempron 2650 APU(which is dual-core and only needs 25 W) versus the Intel Core i7-6900K (which is eight-core, insanely expensive, and needs 140 W). But for average, think of the AMD Ryzen 5 1600 (which is six-core and needs 65 W). GPU wattages can also vary wildly. When you’re typing up an essay, it might not draw much power, but when you’re playing Crysis 3 with all graphical settings at Very High, it could be the most power-hungry component in your system. Most GPUs are rated by max pull. An integrated GPU, like the Radeon HD 8470D, may only need up to 65 W whereas the monstrous GeForce GTX 1080 Ti draws up to 250 W under heavy load. RAM wattages are very low. 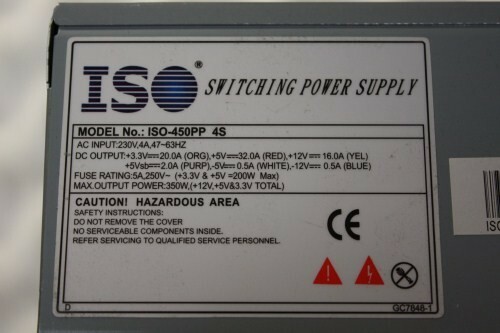 An acceptable guideline to use is about 4 W per module. DRAM has far less static power consumption than SRAM, but energy usage can spike up to 10 W during heavy reading and writing. Data drive wattages depend on HDD vs. SSD. For example, the Seagate 1TB BarraCuda HDD operates at between 5.3 W (500 GB and 1 TB models) and 8 W (2 TB and 3 TB models) whereas the similarly-priced PNY CS1311 SSD pulls 2.2 W when active and only 0.17 W when idle. Power supplies can be tricky. At the very least, a power supply needs to be able to provide enough wattage for your entire system. But here’s something you may not know: the power supply pulls more power from the outlet than it provides to your system. This is because it pulls AC power (from the wall) and converts to DC power (for your PC components) and loses some energy in the exchange. Using a power supply with 50 percent efficiency, you could be drawing 800 W from the wall to power your 400 W system. This is why a high-efficiency power supply is so crucial, and one of the main things to consider when buying your next power supply. Step up to the Corair CX550 or CX-M550, the VS series is the entry level series, and I don't trust entry level. RMA'd 4 month old RX580, Received full refund 1 day later...seems odd? ?